Offering you a complete choice of products which include ring blower, forward curved blower (didw), stainless steel axial fan, air circulators, fan blades and duct fans. 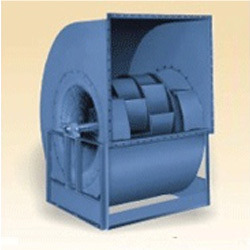 We also Export or Supply Forward Curve Side Frame Centrifugal Air Fan/Blowers to the Traders and Trading company/Firm, Wholesaler, Distributor in diffrent parts of Ahmedabad, Gujarat, India and outside India also as per there requirements. We also take Forward Curve Side Frame Centrifugal Air Fan/Blowers repair orders and repairing works. 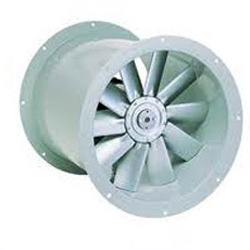 We also supply Forward Curve Side Frame Centrifugal Air Fan/Blowers Spare parts. Housing of centrifugal fans is made of galvanized steel. Sealed with lock forming system this protects the galvanized steel from getting rusted. Orientation of fans can be adjusted through mounting feet as per requirement of the end user. Impeller are made of galvanized steel. Blades of the impeller are forward curved with tools & dies for better performance. All the impellers are dynamically balanced. Side Frames of the fan are made of galvanized steel. Side frame are spot welded for strength & durability. Our team of skilled and trained professionals has enabled us to manufacture, supply and export Stainless Steel Centrifugal Fans. Equipped with different types of blades, these products draw the air into the inlet of the blower housing with the help of the wheel and then discharge it at 90 degrees angle out of the housing. In order to ensure their supreme quality and optimum performance, these products are tested by our team of skilled and trained quality analyzers.Stainless Steel Centrifugal Fans are delivered to the clients in a designated time frame owing to our expert logistics team. Backed by the profound experience of the market, we have been able to manufacture, export and supply a range of Stainless Steel Centrifugal Fans in SS-304, SS-310, SS-316, SS-316L etc. This range is manufactured under the guidance of our experts, using modern machinery and superior quality material procured from the certified vendors of the market. Moreover, we also offer this product in varied specifications as per the requirements provided by the clients. We provide this range at market leading prices and within the stipulated time. We are able to hold a commendable market presence both domestic and overseas by manufacturing and offering a durable range of Air Circulator Fan. The ergonomic designs, high performance and low energy consumption makes our fans find their application in various homes, offices, schools and institutes. Our Air Circulator Fan is made by a team of skilled professionals, following the norms and guidelines laid down by the industry. Being a quality centric organization, our clients are rest assured to avail world class fans at a nominal price. Backed by a team of experienced professionals, we are providing a high quality array of Ducts Fans to our clients. These products are fabricated at our sophisticated manufacturing unit utilizing premium grade raw materials with the help of advanced technology. These are available in various technical specifications and can also be customized on the specific demands of the clients. The offered Ducts Fans are acknowledged for their compact design, corrosion resistance, less maintenance, precise dimensions, perfect finish and longer functional life. We are offering wide range of centrifugal impeller which are fabricated taking full care during fabrication and welding stage to ensure that impeller is in true shape without any un due fluctions while rotating. Highly experience team of our organization are offering a wide range of Impeller. We are well known companies Who manufacture and supply an extensive range of Impellers. These product manufactured by our highly skilled professionals, using the best grade raw material and latest technology. We are setting new benchmarks in the domain nby manufacturing and supplying our clients an innovative range of Venturi Scrubber. These scrubbers are widely used in various chemical industries like checmial, pharmaceutical and power plant to remove fine particles from volatile, hazardous and corrosive gas streams. Our Venturi Scrubber is made by a team of skilled professionals, following the norms and guidelines laid down by the industry. In addition, we are capable of customizing these scrubbers as per the needs of the clients. 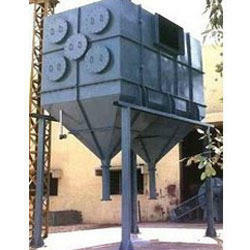 We have garnered a niche for ourselves in this domain by offering superior assortment of Wet Dust Collection System. These systems are used to separate any metallic or dust particles from the spraying and blasting room and discharge clean air to the atmosphere. Designed to perfection at our state of the art machining facility, we only use quality materials and modern technology to manufacture Wet Dust Collection System. We lay prime emphasis on the packaging of these systems to ensure safe delivery at clients premise. 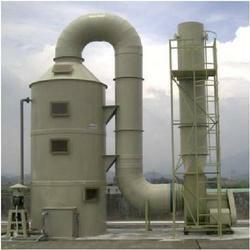 We are engaged in offering Scrubbers, which are considered as the air pollution control devices. These use high-energy liquid spray to remove aerosol and gaseous pollutants from an air stream. Absorption or chemical reaction removes the gases. Further, these can also be used for process air cleansing and dust collection to fume and gas abatement. 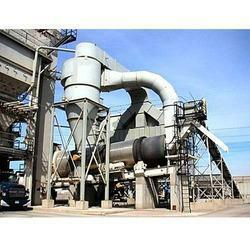 We also offer dry scrubbers, which are costly than slurry method scrubbers. These are commonly used to help control emissions of sulfur into the atmosphere. Containing a lime substance (often a limestone slurry) that can capture and neutralize the sulfur dioxide, the gases that are emitted from the combustion process are passed through tanks. These are differentiated by the manner in which these extirpate gases and particulates (either wet or dry) from the air. 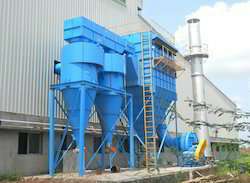 We manufactures dust collectors, cyclone dust collectors for applications such as High dust loadings in woodworking environments, High temperatures, highly abrasive dust, Sticky dusts, For Boiler, Cement industries & Concrete industries, Power, Sugar, Pharmaceutical, Agriculture, Paper & Pulp, Food, Fertilizer & Special Purpose Projects. Cyclone dust collectors are mainly used to create a centrifugal force to separate dust from the polluted air stream. In order to cater to the variegated requirements of our clients, we are engaged in manufacturing, supplying and exporting a wide range of Air Scrubber Units. These units are designed for extracting dust particles, acidic fumes from air, which are generated during different operations. We offer these units in different specifications to meet the diverse requirements of our clients. 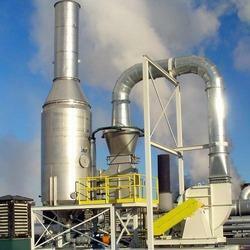 Air Scrubber is high quality air pollution control equipments. Our air scrubbers use High- Energy-Liquid-Spray for eliminating aerosol and gaseous pollutants from an air stream. Also, our specially designed air scrubbers are extensively used with acid gases and provided with pre-filters or final filters for clear cut reduction of hazardous emissions. 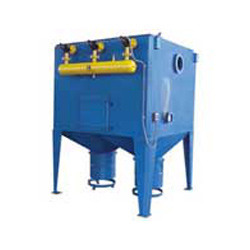 Air Scrubber can be availed at the most competitive price in the market. 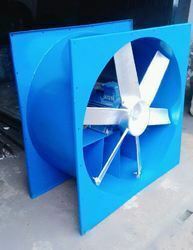 We have been able to manufacture, export and supply a wide r of Range of Inline Fan. This fan is manufactured in accordance with the set industry standards using premium grade raw material. Offered fan is used in various industries to improve the efficiency levels of oil & gas charged boilers and are also used for firing in boilers. The hard face blades of this fan helps in pulling out of air with dust particles and enhances secondary air - flow through chimneys. 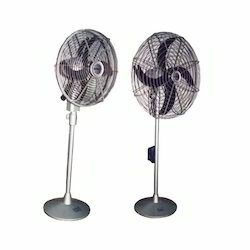 We offer this Inline Fan in different sizes as per the specific requirements of clients at market leading price. Impeller of are made of galvanized steel. Blades of the impeller are forward curved with tools & dies for better performance. All the impellers are dynamically balanced. Owing to profound knowledge of our expert engineers, we are instrumental in manufacturing and exporting Double Inlet Centrifugal Blower. 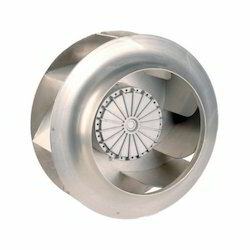 These centrifugal blowers are manufactured under the strict guidance of our professionals using sophisticated techniques. 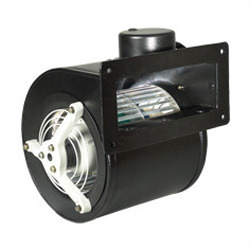 Well-known among our clients for their impeccable finish, high efficiency and sturdy structure, these blowers are available in different specifications. Widely used in chemical, automobile and engineering industries, our offered Double Inlet Centrifugal Blower is delivered to clients without any delay. Leveraging on our expansive distribution network, we manufacture high performing range of Heavy Duty Industrial Blowers. This range of blowers are manufactured with superior designs, unparalleled to none in the industry. These products are designed by proficient personnel, who make it certain to match this range with the industrial needs. 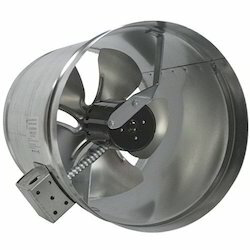 We are the largest manufacturer and supplier of wide range of Heavy Duty Industrial Fans that are widely renowned for wide application in several small and large scale industries, These are widely used in several small scale and large scale industries for regulating the ventilation.Heavy Duty Industrial Fans is a type of Single Inlet Single Width(S.I.S.W) Blowers. We provide FRP Centrifugal Blowers that are fabricated using high grade material that further make them more reliable and durable in nature. 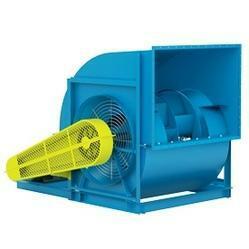 The FRP Centrifugal Blowers offered by us can be availed by spending very less from the pocket. 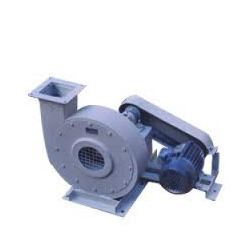 Also, we are one of the well-established Manufacturers and Suppliers of FRP Centrifugal Blowers. 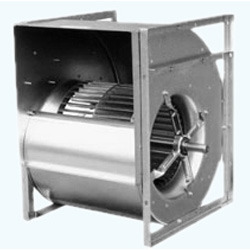 Our centrifugal blowers are available in different capacities and pressure ratings & with belt driven & direct driven option. Through Axial Flow Fans the Air or Gas flows parallel or in line with the impeller axis. 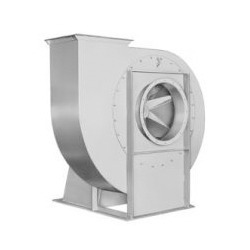 Blow-Tech Axial Flow Fans covers a wide range of Air quantities and Pressures, and air suitable for General Ventilation, Air conditioning & Fume Extraction plants as well as special Industrial installations. 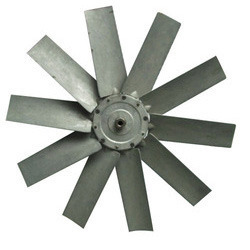 All Vishwakarma Axial Flow Fans have cast Aluminium alloy impellers with high efficiency aerofoil section blades, They are designed for an optimum relation between air quantity, pressure and power consumption. High pressure blowers with inlet air temperature below 70deg. C. and direct mounting are compact in construction and runs with high speed motor. 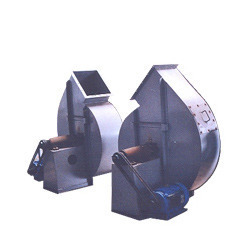 These blowers are mostly used for supplying fresh air to furnace for combustion purpose. Furnace blowers with inlet temperature above 100deg. C. are indirect belt drive blowers. Air blowers for Furnace/ Combustion application with inlet air temperature above 400deg. C. are manufactured from SS-304 material. Driven with perfection, we are engaged in bringing forth the clients exclusively designed Industrial Air Blower. Ideally used for fume extraction, dust collection, ventilation, hot air systems and air handling, the range is appreciated for its attributes such as perfect finish,excellent performance and energy efficiency. Our range is designed for all intents and purposes that produce constant speed machine which helps in delivering a constant volume of air. 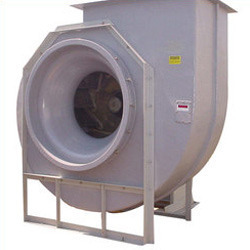 Being the leading names in the industry, we offer our clients an extensive range of Ventilation centrifugal blower that is widely used for fume extraction, dust collection, material conveying, cooling, drying and ventilation purposes. We offer the entire product range with different Hp capacities and are electronically balanced. Moreover, we offer them at most affordable rates. 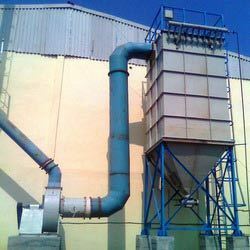 We are renowned as one of the staggering Dust Collector Bags Manufacturers in India. 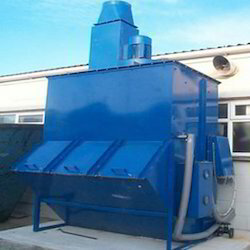 The Industrial Dust Collector is suitable for dust and fumes temperature up to 450oC. The Cartridge Dust Collectors provide dust free, fumes free and clean working atmosphere as these are designed as per the high layout of the plant. Supplier & Manufacturer of Bag Filter. 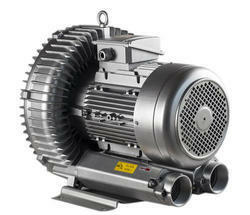 Our product range also comprises of Industrial Blowers, Fresh Air System. We offer an elite collection of Cyclone Bag Filter System. This range is contrived using the high-grade raw material, which is procured from dependable vendors. Premeditated in strict observance to the highest quality standards, these bag filter systems are tested on diverse parameters so as to offer a unblemished range to clients. Our patrons can avail this range at market leading prices. Bag Filter System, are ideal for filtering large volumes of high viscosity liquids. These are used for a variety of fluid applications in the process industry. Our bag filter system is designed for optimum filtration performance for providing filtration solution for a broad. It is made of filter housing, filter bags, internal cage to support bags, positive sealing arrangement and choice of end connections. Its internal supports ensure that bags will not burst as high differential pressures build up during operation. Polcons Wet Scrubber type PBWS is an excellent equipment of the type for high inlet dust concentration. Dust concentration of even above 20gm/m3 can be handled by this collector. 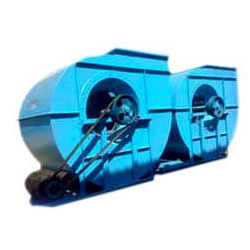 Compact design helps to install these equipments in lesser space than other dust collectors. PBWS units can be used to collect dust from foundries, machine shops and crushing mills. For absorbing fumes of various types PBWS can be used with suitable scrubbing liquid. While dry collectors such as Bag filters are susceptible to accumulation of static electricity and consequent sparking, causing fire hazards and explosion, wet scrubber suppress sparks and extinguish fire. 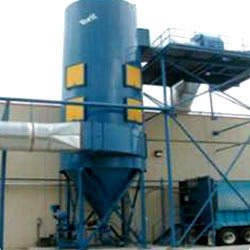 Polcons manufacture Excellent Wet Scrubbers in various sizes to handle any large volume of dusty air. We have installed plenty of them in various industries, proven for performance through the last two decades. Effective collection of both wet and dry smoke and fumes from industrial emissions is a complex process, involving many aspects, but it is absolutely imperative, not only for workers' safety, but for optimal plant efficiency. Industrial Air Solutions has the experience, the extensive line of fume collectors and the technical expertise to match the right collection system with your specific operations and your budget. 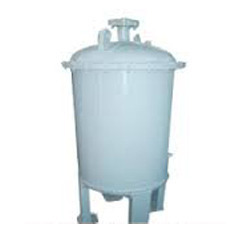 Our organization is engaged in manufacturing and supplying HDPE Scrubbers. These are used in handling chemicals, which are more prone to corrosion and provide protection to them from air or climate. Easy to install, these can be easily maintained and are known for their high performance.